Remembering 70 years of the successful August Revolution and national independent day 2nd September, Dorufoam had organized the first badminton championship in 2015, in 28th and 29th August 2015. In order to create a play-field, promote sport movement, and encourage every employees of the company stay healthy. Also created opportunities for Dorufoam’s athletes train and gain more experience on the other hand select key athletes for Dorufoam 2016 sport festival. 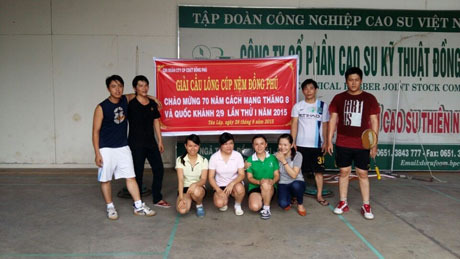 Participating in the championship are many officers, workers, employees from Labor Union and members of Youth Union represent their departments of the company. The athletes taken an anniversary picture. The athletes compete in men and woman individual and also double event and mix doubles. 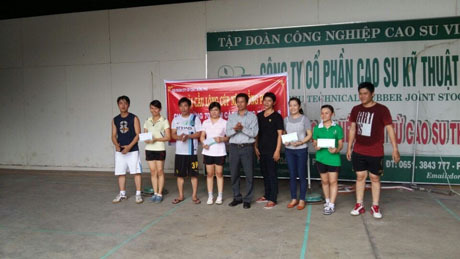 After two exciting days, Dorufoam first 2015 badminton championship has an excellent success. This is an helpful event which not only given employees a chance to get to know each other, to exercise but also make some achievement in honor 70 years of August Revolution and national independent day 2nd September.